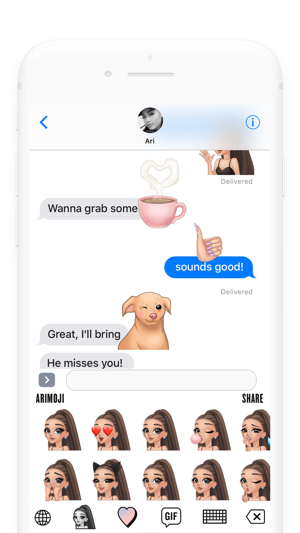 The ARIMOJI keyboard has a new look! 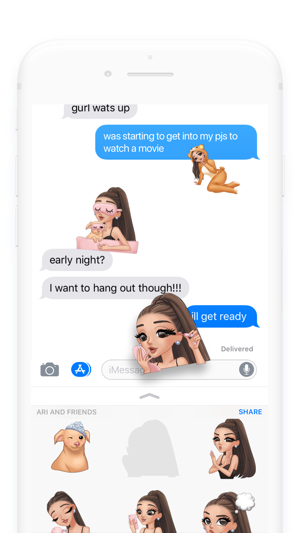 Now you’ll have your most used ARIMOJIs right at your fingertips in the MY FAVES tab and a NEW section to highlight the latest designs. 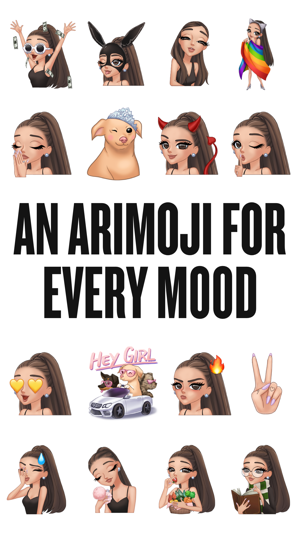 So keep an eye out for brand new ARIMOJIs. 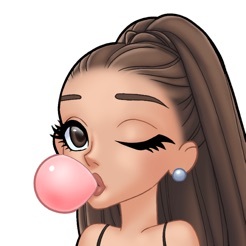 I am a huge Ariana Grande fan. Huge! I bought all her albums- I even bought the third one twice! She's so iconic. I was worried, to be honest, about this app. 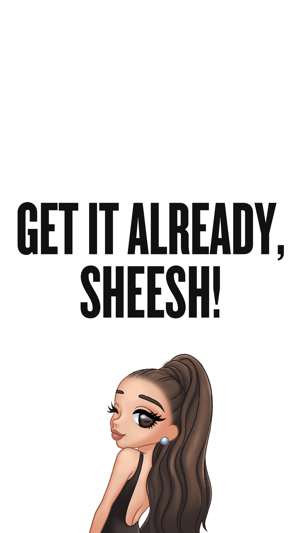 I was not sure if I was going to like it, but I took a chance because it's Ari. I LOVE IT!!! The emotes are so cute and relatable. 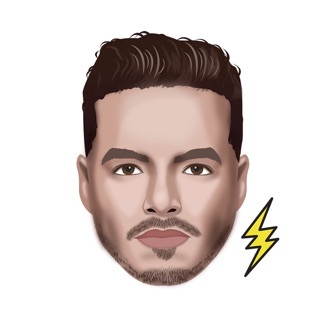 When you're feeling fierce, there's a emote for that. There are also gif emotes- and actual real life gifs of her. Gifs! I was not expecting that! I would have to go to google to find them, but now I have this app to do the job. I don't regret buying this app. Buy it. Use it. Love it.